In the dock on Tuesday in cold and rainy London, James Ibori, former Governor of Nigeria’s oil rich Delta State stood alone. “His Excellency”, stood humbly before a judge at Southwark Crown Court. Ibori waited with racing heart for the judge to tell him how long he was going to stay in a cold lonely UK jail. He was eventually told 13 years though likely to serve four and half years. In jail, Ibori is not going to be alone. He will be with his wife, mistress, sister and even lawyer all serving different jail terms ranging from five to ten years for helping Ibori launder millions of pounds stolen when he was governor of Delta State between 1999 and 2007. The only partners in crime that Ibori will miss in jail are his bankers. While all close acquaintances that helped Ibori launder the millions he stole as Delta State governor are behind bars, his bankers who facilitated the process are walking free. Yet, they made millions from helping Ibori move the funds around. The leading prosecutor in Ibori’s case Sasha Wass QC, revealed in court how Ibori used multiple accounts at Barclays, HSBC, Citibank and Abbey National to launder the millions he stole. The prosecutor revealed that these banks helped pass around millions of pounds, some of which were used to purchase expensive properties in London and South Africa. Giving insights into how the money moved around between the banks, the prosecutor revealed how US$4.8 million (N1.25 billion) was transferred from a Barclays account belonging to a company in which Ibori was formerly a director to another account at Barclays controlled by Ibori’s lawyer, Badhresh Gohil who is currently serving a 10 year jail sentence for helping Ibori launder money. The Prosecutor revealed that the funds were passed through two Swiss accounts, including one at a branch of Schroders in Zurich, a global asset management company which manages about £187 billion on behalf of global clients. This money was used as part payment for a private jet for Ibori. 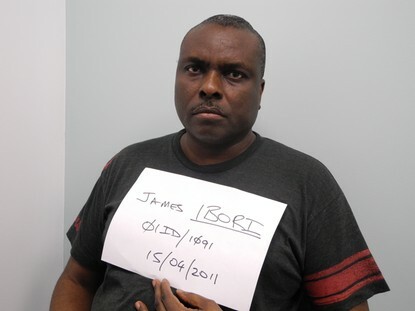 The prosecutor also revealed how Ibori had numerous Barclay’s accounts. They described how in one case between 1999 and 2006 Ibori deposited £1.5 million (N390 million) in cash in a Knightsbridge branch of Barclays. Also Ibori had two bank accounts in America at Citibank and was said to have ran up a $920,000 (N143 million) American Express credit bill between 2003 and 2006. He bought a $1.8 million (N279 million) house in Houston, as well as moving at least $500,000 (N78 million) through his lawyer’s client account at now liquidated AIDT bank in Denver, Colorado. Among the properties that Ibori splashed money include a house in Hampstead, North London, for £2.2m (N572 million), a property in Shaftesbury, Dorset, for £311,000 (N81 million), a £3.2m (N832 million) mansion in Sandton, near Johannesburg, South Africa, a fleet of armoured Range Rovers valued at £600,000 (N156 million), £120,000(N31 million) Bentley, and Mercedes Maybach for 407,000 euros (N69 million) that was shipped directly to his mansion in South Africa. Though the value of the fraud that Ibori was charged with in court was put at £50 million (N13 billion), but the judge admitted that the actual money stolen by Ibori is unquantifiable and could be as much as £200 million (N52 billion). Interestingly, in the past many of the banks now named in Ibori’s case were also involved in laundering money on behalf of former Nigerian governors. It would be recalled that Alamieyeiaseigha, (Alams for short) who was former governor of Bayelsa state, had to jump bail and escape from the UK when he was arrested in September 2005 on money laundering charges by the metropolitan police. Global Witness, an NGO which campaigns for transparency in resource rich countries, in October 2010 released a report titled “International Thief Thief” revealing the details of how UK banks helped Alams launder millions of pounds in the UK when he was governor. The accounts used by Alams in UK to launder millions as a governor include two different bank account in UBS one with £306,000 (N80 million) as at December 2005 and another with £1.05 million (N273 million) as at the same date. He also had three different accounts with HSBC. One of the accounts had £420,000 (N109 million) as at December 2001, another had £110,948 (N29 million) and third one had $178,947.50 (N47 million) as at February 2003. Alams also had £2.65 million (N689 million) as at November 2004 in Royal Bank of Scotland (RBS), which is currently majority owned by the British government. He had two different accounts with Barclays Bank, one with £205,376 (N53.3 million) as at March 2005 and another with Barclays Cyprus with £3 million(N780 million) (held in six different accounts) as at September 2005. Finally, Alams also had another £290,000(N75 million) in Natwest Bank as at August 2005. All the accounts were opened by him between 1999 and 2003 when he was still the governor of Bayelsa State and he was barred from opening foreign banks accounts. In the detailed report, the Global Witness describes how UBS helped Alams launder millions of pounds in UK. It shows that Alams started stealing money from the accounts of Bayelsa State just three months after becoming a governor when he approached UBS to open an account at its Mayfair Offices on Curzon Street, London. Shortly after opening the account, Alams is said to have told UBS staff that “he anticipated a sharp rise in his deposits from $35,000 (N9.1 million) to $1.5 million (N390 million). Alams is said to have filled a form stating that before he became governor, he was a financier and fertilizer magnate who made his money before he became governor. He said that he had never held accounts outside Nigeria before but because of rising tension in the country, he seeks to safeguard his vast wealth by transferring money outside the country. Following the opening of the account, in early 2001 one Aliyu Abubakar, identified in court documents simply as Aliyu, who was said to have been given a £19 million (N4.9bn) contract to construct the Bayelsa State government lodge paid $1.5 million into Alams UBS account. These payments were said to have been made at the same time, Aliyu was also arranging to buy a £1.4 million (N364 million) house in Kilburn area of London for Alams. Also Alams is said to have told UBS, when asked for the sources of these funds that he sold a palace he owned in Abuja to Aliyu who Alams described as an oil businessman. Yet, when Alams made his asset declaration forms in 1999, he declared his total assets to be worth just £210,000 (N55 million) and he had no property in Abuja in his asset declaration forms. Later, when Alams tried to prevent the forfeiture of his money in UBS accounts to the Nigerian government, he is said to have claimed that the money were donations from his close friends towards the education of his children. The Global Witness Report states that “By December 2005, Alams account in UBS had a balance of $1.8 million (N279 million) in an account that was in the name of a trust named Falcon while in another account in his personal name, he had $535,000(N83 million). This was despite declaring in his 2003 asset declaration form that he was worth only £485,400 (N126 million) with an expect income of £22,680 (N6 million). In 2001, Aliyu was said to have facilitated the purchase of £1.4 million (N364 millin) property on 14, Mapesbury Road, in Kilburn in North West London for Alams using his account with HSBC. The house was bought in the name of a British Virgin Island registered Shell company called Salomon and Peters which was wholly owned by Alams. Also eight months after Aliyu bought a property for Alams, he is said to have approached HSBC to open an account with the bank with an opening balance of £420,000(N109 million) paid in by Aliyu. In total, Alams is said to have opened six different accounts with HSBC between December 2001 and 2003, all at the same branch. Also in July 2003, Alams bought a fourth London property for £1.75 million (N455 million), a luxury penthouse apartment, 247 The Water Gardens in the heart of London’s West End. This was the house that Alams was arrested and when searched, the metropolitan police recovered £1.0 million (N260 million) in cash. Another Bank that received bribes on behalf of Alams was the Royal Bank of Scotland (RBS) which received £1.5 million(N390 million) paid into an RBS account held in the name of another offshore Shell company registered owned by Alams called Santolina. Alams was the sole shareholder and director of Santolina. Between January 2004 when the Santolina Account was opened and March 2005, the account received 26 deposits totalling £2.7 million (N702 million). On 1 November 2004, a transfer of £949,000 (N247 million) was made out of this account to pay for a penthouse apartment in the upscale Waterfront development in Cape Town. 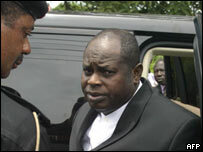 Alams in 2007 pleaded to six counts of corruption in Nigeria. He was sentenced to two years in imprisonment on each count but spent just a few days in prison on the excuse that he had served part of the time already. 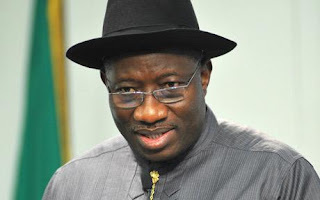 His stolen assets were sold and the money returned to Bayelsa State government. Though the Bayelsa state government claimed that the money will be used to build what it called a Transparency Plaza in the state, it is not clear if this plaza was ever built. Please, is there anyone reading this blog, who is sure what this recovered loot from Alams was ever done with in Bayelsa State? Your comment will be appreciated. It is also interesting that Timipre Sylva, the last governor of Bayelsa State is also now facing a six count charge of stealing N2.6 billion (£10 million) from the State. Read the second part of this post tomorrow on how UK banks helped Joshua Dariye and Abacha launder money in UK and the role played by Nigerian banks. Why do you think corruption is so endemic in Nigeria? Please share your comments below..